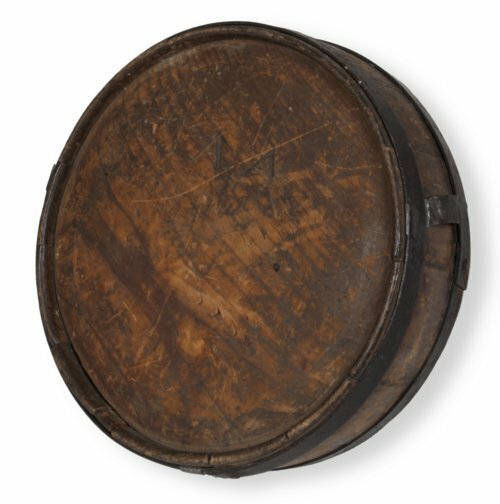 Wooden drum canteen, taken by Union Captain John C. Collins from a Confederate soldier during the Battle at Laurel Creek, West Virginia, on February 15th, 1864. Collins commanded the 14th Kentucky Infantry's companies B, H, and G during this battle. The inscribed initials SAA are probably those of the soldier who originally owned this canteen. After the war, Collins moved to Richland, Kansas, with his wife. They farmed and had nine children.